The story of Juan Fluxá is a necessary story. No-one can deny that Ibiza has been transformed over the last 50 years. A pre-eminently agricultural society has been turned into a spearhead of global tourism. One can imagine how such an enormous change has affected the local population. Juan’s life is a good example of a native Ibicenco who, after leaving his roots for a while, decided to return one, embarking on a journey of rediscovery of traditional farming life and plants. This 48-year-old man, who exudes kindness and good character, is making his mark on Ibicenco society through his determination to promote the most traditional local Ibicenco products, and offer them, dressed up in modern packaging, to locals, residents and tourists. Educated at Ibiza’s School of Tourism, Juan worked during his first professional years in the stationery sector and then afterwards entered into the food sector in a large local product company. After over 10 years of advance in this company, Juan decided to pack his bags, beginning a period of commercial activity outside the island that would oblige him to travel during almost half the year between the Canary Islands and the mainland. But this adventure did not take off, and our star felt the call of his land and his family. When he got back to Ibiza, he was clear: it was time to give back to the countryside and the rich world of Ibicenco traditions everything that they had given to him, his family and its previous generations. Juan gradually discovered his passion for plants and for crafts. Little by little he took the steps that led him to become an agricultural and food craftsman and to create the company Destilerías Ibiza S.L. in 2011, also inaugurating in the same year his small factory making liquors and other traditional Ibicenco products. Juan is a strong defender of local products in Ibiza. 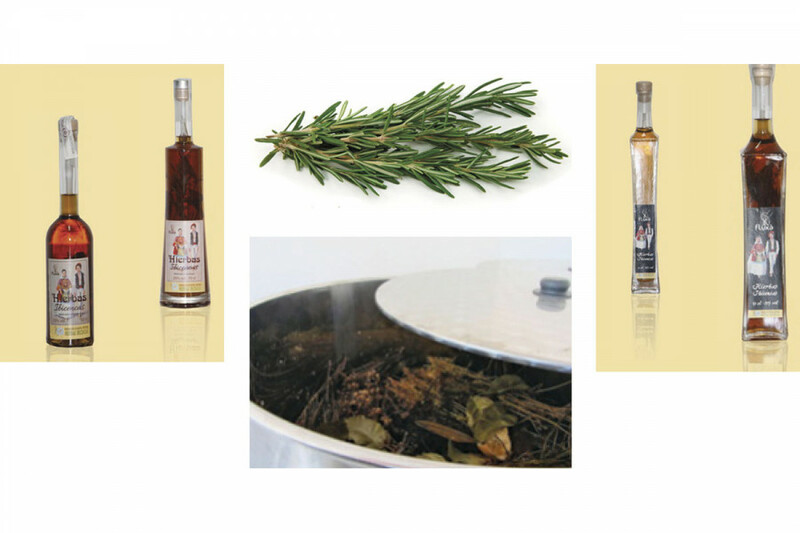 The star product of his company is the Hierbas Ibicencas, which, since May 2011, have a guarantee of place of origin in Ibiza. He also makes other typical local products such as café caleta. Juan proudly mentions that he has passed the “farmers’ test” in that Ibiza’s native farmers like his liquors. 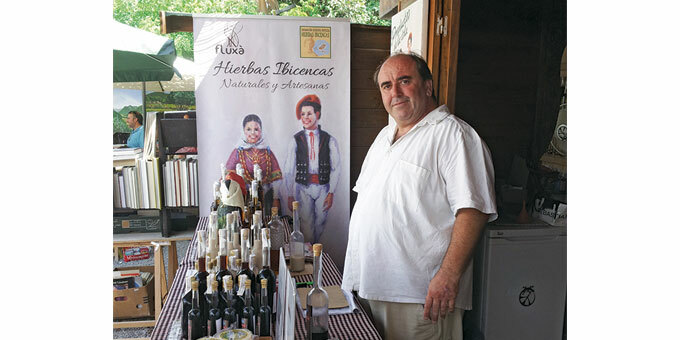 The manufacturing process for his Hierbas Ibicencas is totally natural and hand-made, as if made in his own home, without adding additives or chemicals. To go into his factory and open up one of the giant barrels where his herbs macerate according to his family’s recipe, apart from clearing your nose, transports you to the wonderful world of Ibiza’s plants: rosemary, thyme, juniper, fennel, lemon verbena, lemon and orange rind, and so on, until we get to the 15 herbs that he uses. Juan sells his products in Ibiza’s principal markets, such as Las Dalias, Punta Arabí and San Juan. Despite being a firm defender of Ibiza’s traditions, Juan equally loves innovating, developing and trying new products. In his mind there are many mixes of smells, tastes and textures… the limit is his imagination! Opening any pot of his “Ibiza Salinas” salts with aromatic herbs and you will understand that Juan likes exploring new possibilities for our island’s traditional products. As an heir to the huge knowledge that Ibicenco farmers have about the island’s plants, Juan aims to contribute to the spreading of knowledge about the uses and properties, often even medicinal, of our plants. Let’s not forget how many of these are within our reach. We just have to enter into a forest in Ibiza with a little knowledge and there they are!